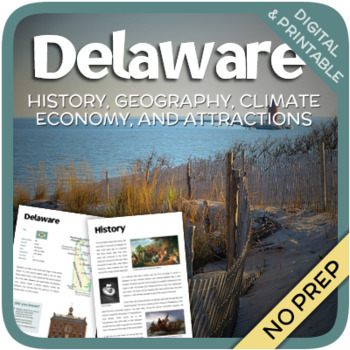 This worksheet includes 14 pages with a great variety of activities and exercises about Delaware. 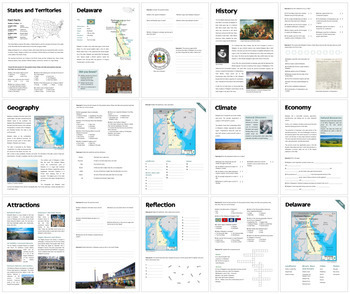 The geography, climate, history, economy, and attractions of Delaware are addressed in this unit. 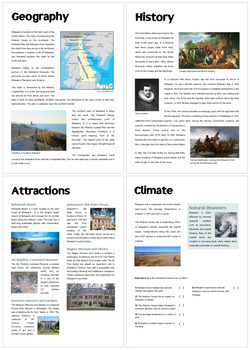 Crosswords, gap fills, map quizzes, and other fun exercises are included to make it a fun and interesting class.